How to Clean Ceramic Tile :: My Cleaners London - Only professional cleaning! Begin by removing loose dust and dirt with a canister vacuum or vacuum with attachments. Do not use a regular vacuum as the bristles and beater bar can scratch and damage the surface of the tiles. Only use a soft bristled attachment or brush free unit to remove the dust and dirt. Fill two buckets with warm water. The first bucket will be used to wash the floor, and the second bucket will be used to rinse. If the floors are especially dirty, add a drop or two of dish soap to the washing water. Use the mop to scrub the surface of the tile floor. Use clean water from the second bucket to rinse the floor. Repeat as necessary until the floor is clean. Replace the buckets of water as needed to keep clean water available. As a final cleaning step, use the old cloths or towels to wipe over the damp floor. Start by removing any loose dirt or dust with a clean soft cloth. Dust removers, such as Swiffer Dusters, work well for this. Fill two buckets or spray bottles with clean, warm water. If the counters are especially dirty, add a small amount (a drop or two) of dish soap or cleaner to the washing water. Spray the surface with the washing water. Use a soft cloth to scrub the surface of the tiles. Use an old toothbrush or small scrub brush to remove any dirt from the grout. Rinse with clean water and wipe dry with a clean cloth. 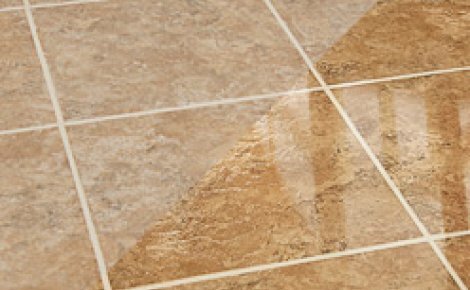 Although some recommend vinegar for cleaning dirty tile, it is not preferable. The acidic properties of vinegar can damage the surface leaving it looking dull rather than clean and shiny. 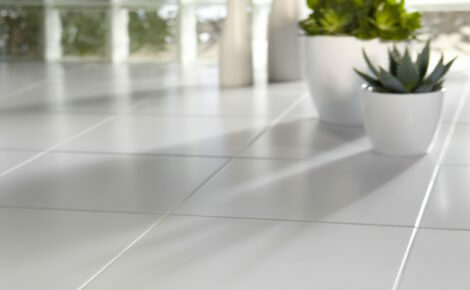 Avoid any acid based cleaners as they can fade and dull the tiles. Avoid cleaning tiles with soap. 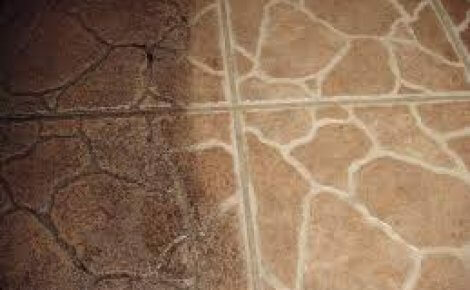 Soap will leave a residue that will make the tiles appear dirty. Want your tiles to shine? After cleaning, buff them with a clean, soft cloth. To keep your tiles looking their best, keep them dry. Standing water leads to fading and staining. Wipe up spills and splashes promptly.